La Carmina outfit posts & modeling photos. Japanese Gothic style & makeup, magazine covers. 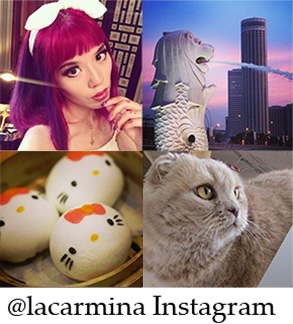 Enjoy this selection of La Carmina’s modeling and personal style photos, from travels and shoots over the years. 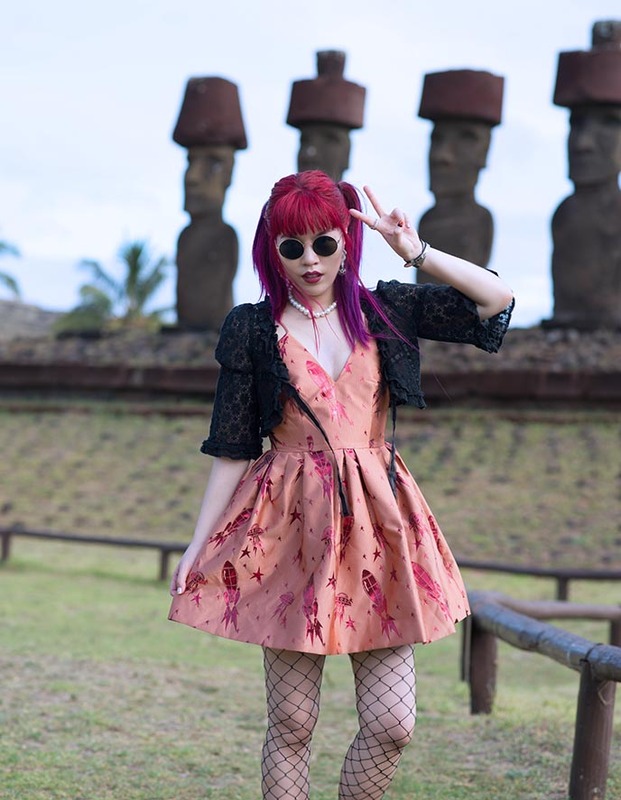 She’s known for her “spooky-cute” Harajuku Gothic street style, and rainbow colored hair. For the more outfits of the day, please check out her Japan fashion blog. To purchase items from La Carmina’s wardrobe directly from her, at discounted rates, see this post. If you’d like to work with La Carmina (magazine shoots, fashion modeling & design, TV presenting, brand collaborations, sponsorships, advertising and other partnerships), write to her. Thanks for your interest! 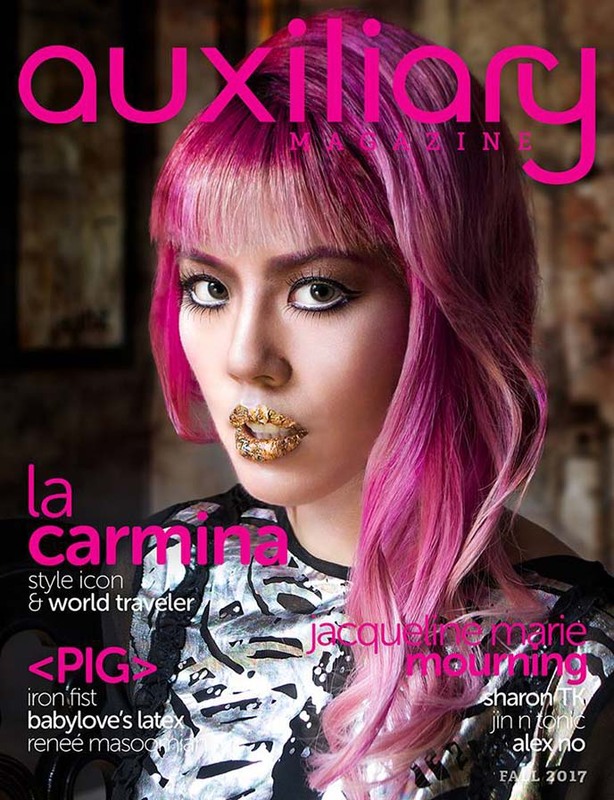 Cover model for Auxiliary Magazine. 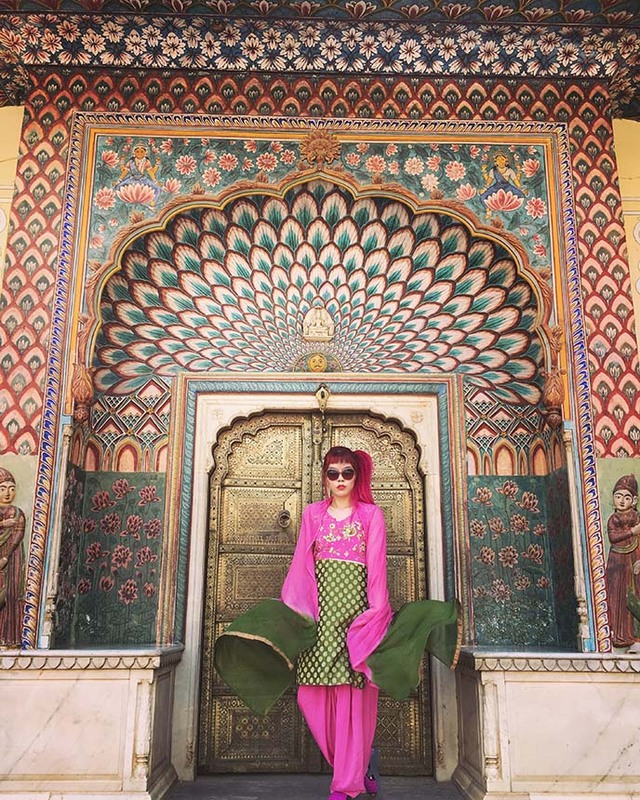 “Style icon and world traveler” La Carmina. La Carmina traveling on an airline press trip to Easter Island, Chile. 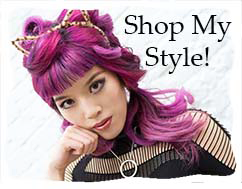 See more photos and outfit details here on LaCarmina blog. 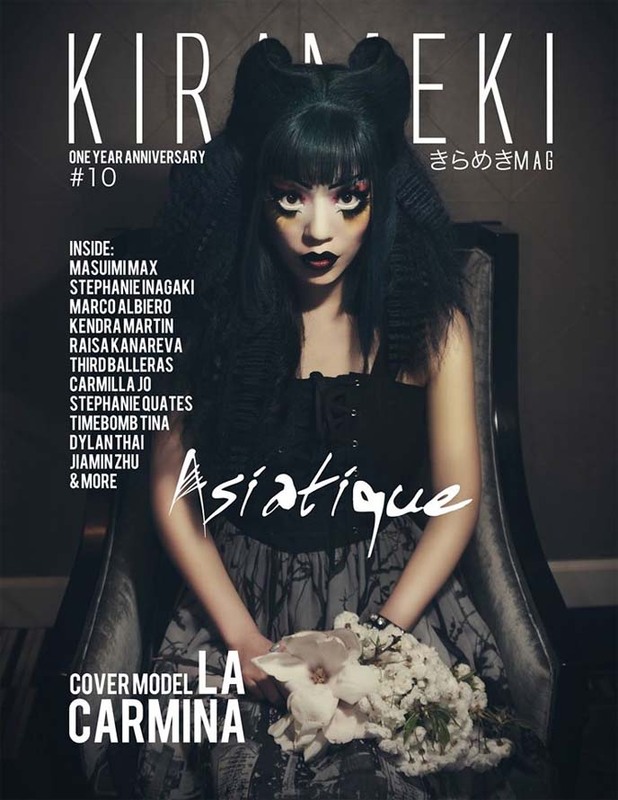 La Carmina on the cover of alt Asia fashion magazine, Kirameki. This is the anniversary special issue. Golden hour in Tokyo, for the street style cover of Adone Magazine. Image that appeared on the cover of leading alternative fashion publication, Giuseppina Magazine. La Carmina is on the cover of Rebelicious Magazine, shot in Portland OR. Kabuki style makeup for Kirameki Magazine Japan. Crimpled hair and vampiric eyes, for her cover, spread and interview in Dark Beauty Magazine. Shooting for the cover of Hong Kong Express Airways inaugural issue of their in-flight magazine, UO. 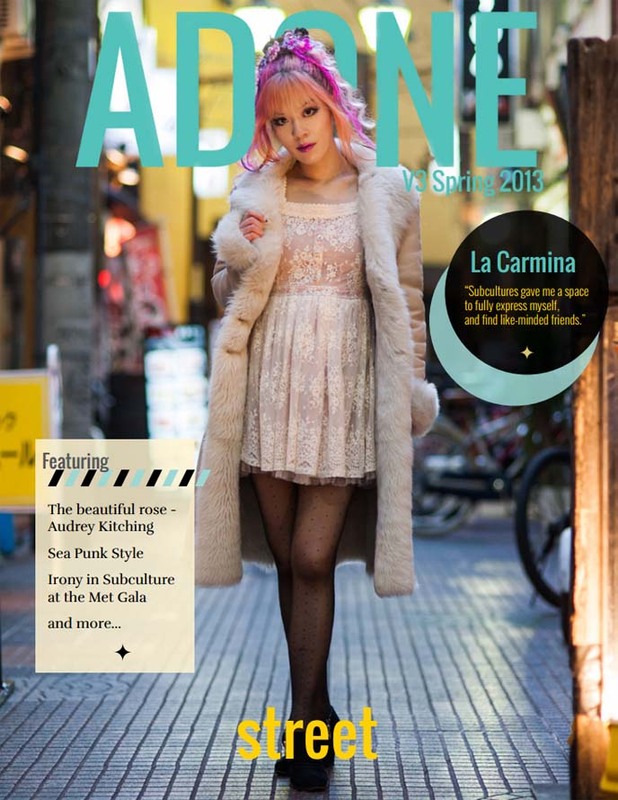 La Carmina has a column in each issue of this Chinese travel magazine. Latex and purple feathers, for her interview and spread in Gothic Beauty Magazine. Red latex and space guns, for Sugar Heart Pin-Up Magazine. La Carmina in Jaipur, India. Wearing an octopus corset from Prague, for this cover and spread shoot in Tokyo. La Carmina was the face of Ladies of Steampunk magazine. La Carmina shooting a travel TV show in Cebu, Philippines. A sun burst over blue hair, captured by street style photographer Heavy Snap in Japan. 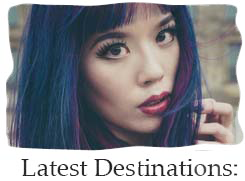 Hire her as a travel TV host, coolhunter & Japanese fixer (arranging, translating, local film production services), model, influencer and more. Click for her email and contact details. See more of La Carmina’s makeup and clothing on her blog and social media: Facebook, Google Plus, Twitter, Tumblr, Instagram, YouTube, Pinterest and Snapchat (lacarmina).